Buy-In: In Poker, players play based on what kind of stake they want to bet in a game. So, a Buy-In is the total value of stakes a player chooses to bet in each hand of Poker he/she plays. The total buy-in in Gamentio Poker is 100 times the value of the Big Blind. All-In: This feature allows a player to bet all his available chips at any point during a hand being Played. This feature allows players to Call a bet by using their remainder chips even when they don't have sufficient chips to match the bet being placed. 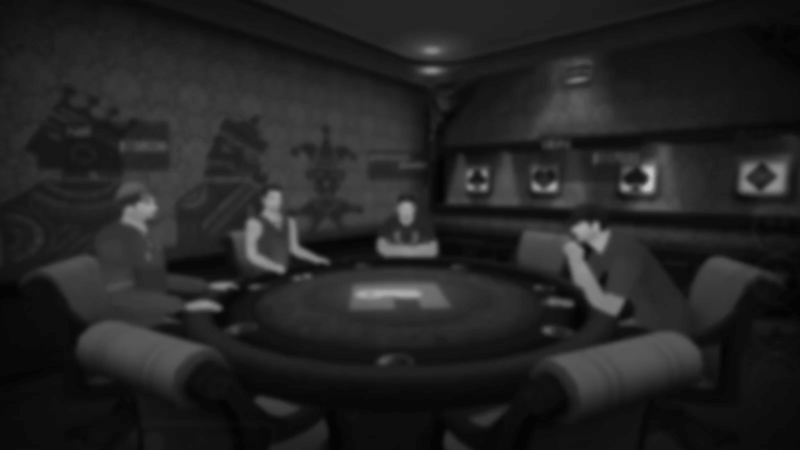 The player is declared ''All-inâ and continues to participate in the game as though they have âCalledâ the bet normally. However, they can't win more money than the amount of their own bet from other players at the table. Value of bets: The minimum bet a player can place is the same as the Big Blind. A player who chooses to Raise, adds an additional bet to the previous bet that has already been placed. Sharing of the Pot: If two or more players have winning hands, the Pot then gets shared equally between the players. Using all five community cards (this is called playing the board). If all the players are playing the board then the Pot gets divided equally amongst all the active players. This is a three-way tie, since all three players have Q-Q-9-9-A as their best hand. The pot will be split equally between X, Y and Z. For the purpose of comparing hands all suits are equal. Each player gets 15 seconds to make a move. In the game of Poker each betting round comes to an end when, contribution to the Pot of each active player (player who has not folded) at the table is equal. This implies that either a player raises a bet (Raise), or, matches the bet being placed (Call or Check), or, Folds (leaves the game). Gamentio deducts Rake at the rate of 4% on each hand played. 10 Unlocked Points will be deducted if a player fails to act in the stipulated time or abandons a game after the cards are dealt. Active Player : A player who has not folded and is still involved in the Pot. All-in : It&apos;s a special feature in Poker where, you can bet all your available chips in a single bet. A player can do this at any time during a hand. Ante : A fixed amount of forced bet that players are required to contribute before a hand is dealt. Bet : The first player to act on the Flop has the choice to place a Bet. The players that follow after, either Call or Raise. Big Blind : Compulsory bet made by the player sitting next to the Small Blind. The value of Big Blind is double that of the Small Blind. Buy-in : The total amount of Chips a player chooses to take to the table before he/ she starts playing. Call : To match a bet that has already been placed. Check : When a person who's chance it is to place a bet, chooses not to do so, he may ''check''. Herein, no money is bet. If other players also don't want to raise a bet they may do the same. Community Cards : Cards that are dealt face-up by the Dealer and can be used by all players. Dealer : The person who deals the cards, or, the person who has the dealer button while someone else physically deals the cards. Flop : The first three community cards are dealt together and are known as the Flop. This is the second round of betting in a Poker game. Flush : Five random cards of the same suit. Fold : If a player doesn't want to play further they Fold and exit the hand being played. Further betting has no effect on their chips. Four of a Kind : Four out of five cards are of the same rank. Fullhouse : Three of and kind with a pair. High Card : When no particular hand is being formed the player with the highest card(s) wins. Hole cards : Two individual cards dealt to each player, face down. One Pair : Two out of five cards belong to the same rank. Pot : It is the total value of bets placed during the hand. At the end of the hand the Pot amount is awarded to the winner. Raise : When a player wants to put in an additional bet its called a Raise. In no-limit versions (like Gamentio's) a player is free to raise a bet of any value. Rake : A small, fixed percentage of the Pot amount taken by the house as fees for conducting the game and providing other services. River : Also known as the Fifth, is the term used for the last community card dealt. This is the final betting round in a poker hand. Royal Flush : 10, Jack, Queen, King and Ace of the same suit. Showdown : The end of a hand when the cards of all the active players are revealed to evaluate the winner. Side Pot : This is a special situation in which two Pots run simultaneously, as, one player goes all-in and other players continue to bet. Small Blind : Small value of compulsory bet made by the person sitting next to the Dealer. Straight : Five consecutive cards belonging to different suits. Straight Flush : Five consecutive cards of the same suit. Three of a kind : Three out of five cards are of the same rank. Turn : Also known as the Fourth, is the term used for the fourth community card dealt. It&apos;s the third round of betting. Two Pairs : Four out of five cards are two different pairs.